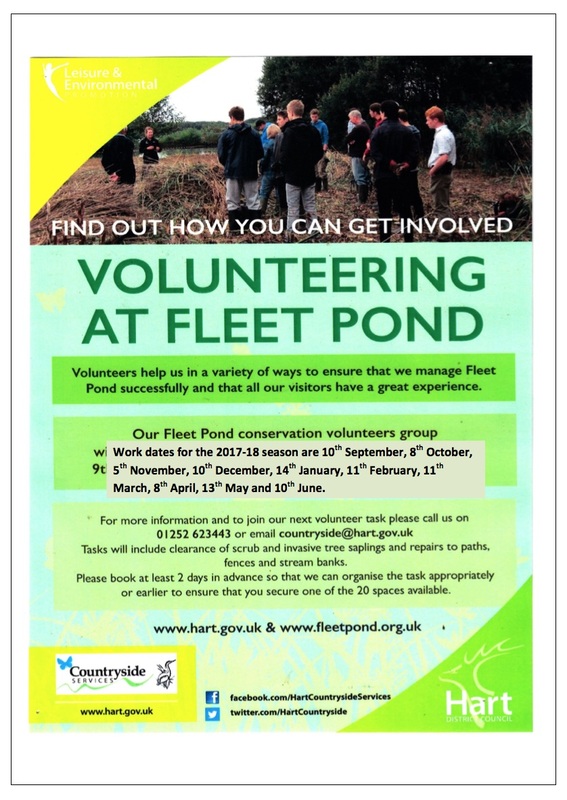 Fleet Pond Society Needs You! We’re starting the search for a new Chairman for our Society. Are you interested? The job would probably suit someone recently retired or even partially retired. Essentially you would chair our small, but dynamic executive committee. 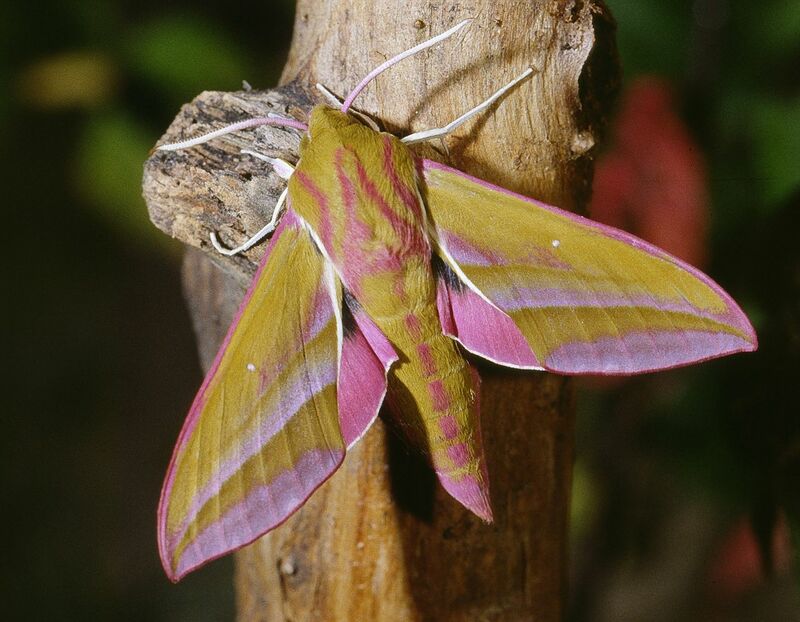 You would represent us at meetings with Hart Countryside Service and any other meetings with other stakeholders. You would be the face of the Pond Society and you’d have lots of experience from the committee, the Rangers and others to call upon. 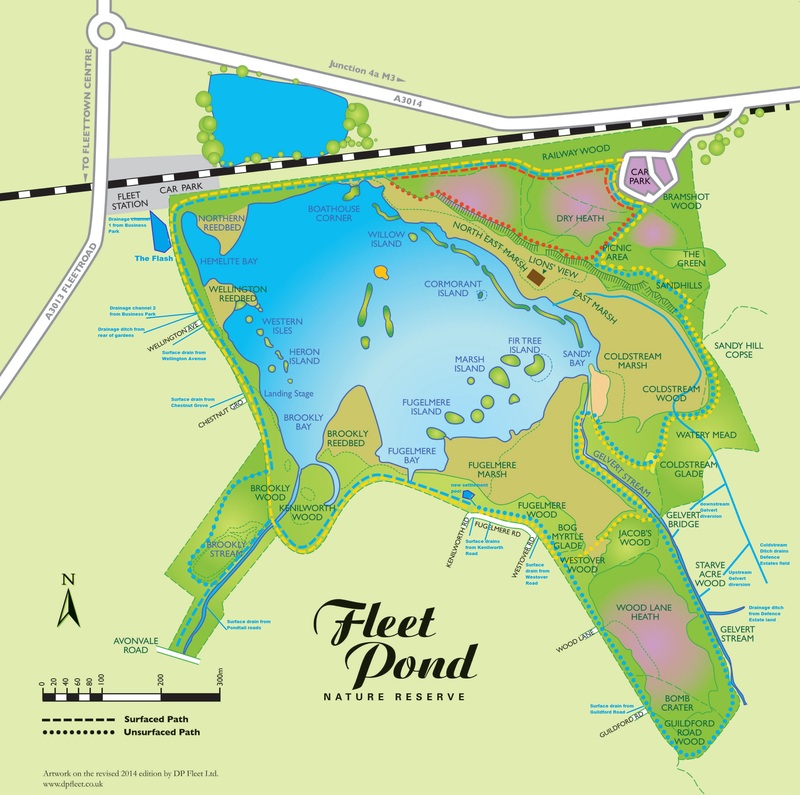 You can find out all you need to know about the Pond here. Now that autumn is approaching, you may be thinking of starting some new activities and getting some fresh air and exercise at the same time? 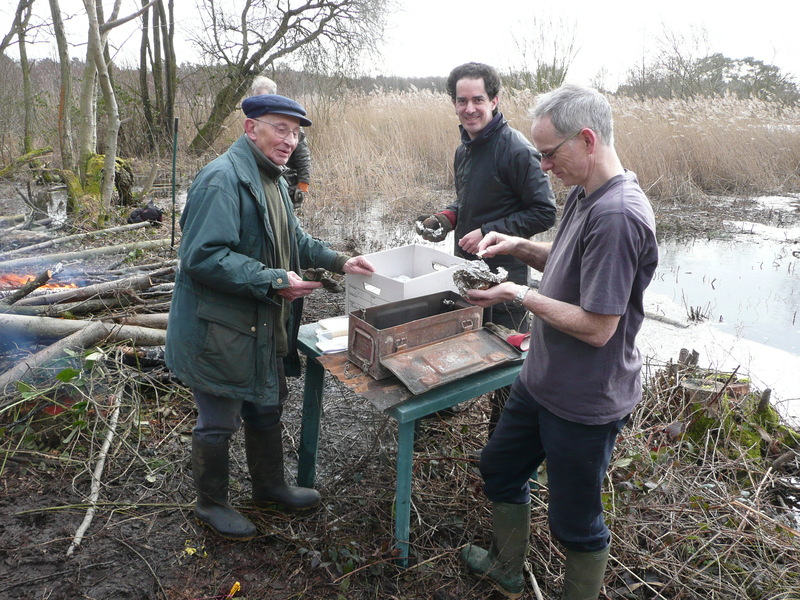 If so, why not consider joining us on our Sunday volunteering events at Fleet Pond? We’re a very friendly bunch and there’s even free coffee/tea/chocolate and munchies at a mid-morning break 🙂 Sometimes there are even hot potatoes as a special treat! Typically events start at c 9:30 and last to c 12:30. 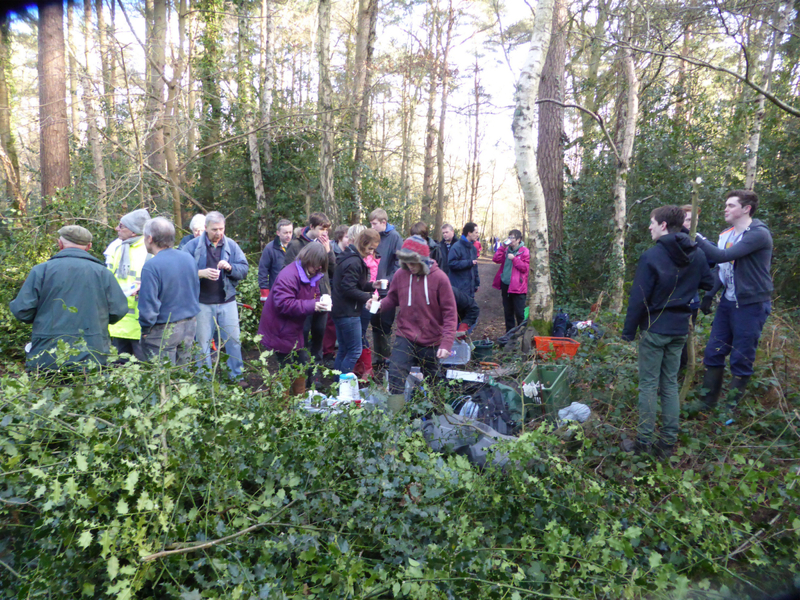 No skills or prior knowledge is required and you’ll also be making a great contribution to the local environment. If interested, please contact the Hart Rangers as described in the poster above. 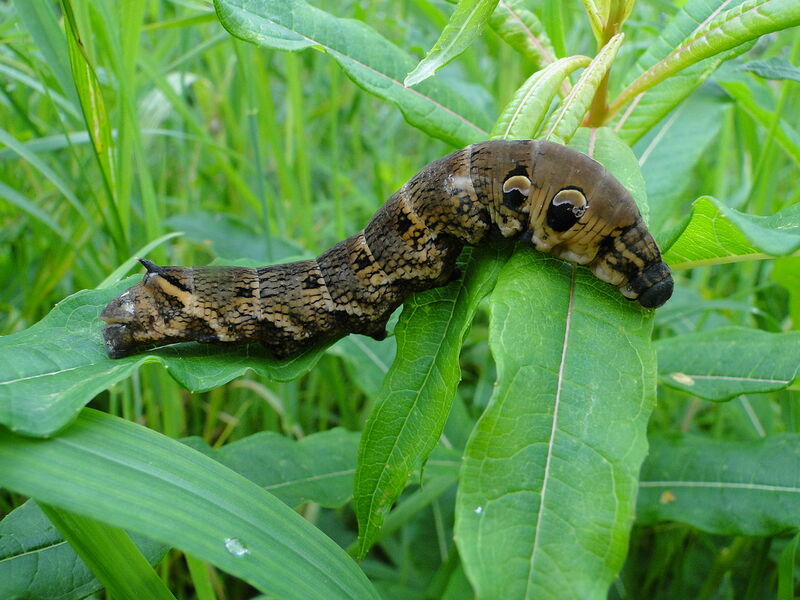 September 10th: Fugelmere Marsh – digging out Alder saplings/scrub. No bonfire. 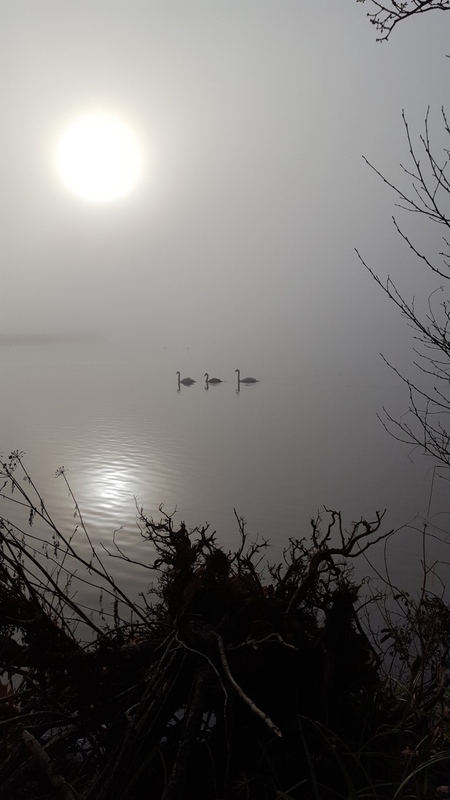 October 8th: Coldstream Marsh – scrub bash willow/alder scrub with a bonfire. 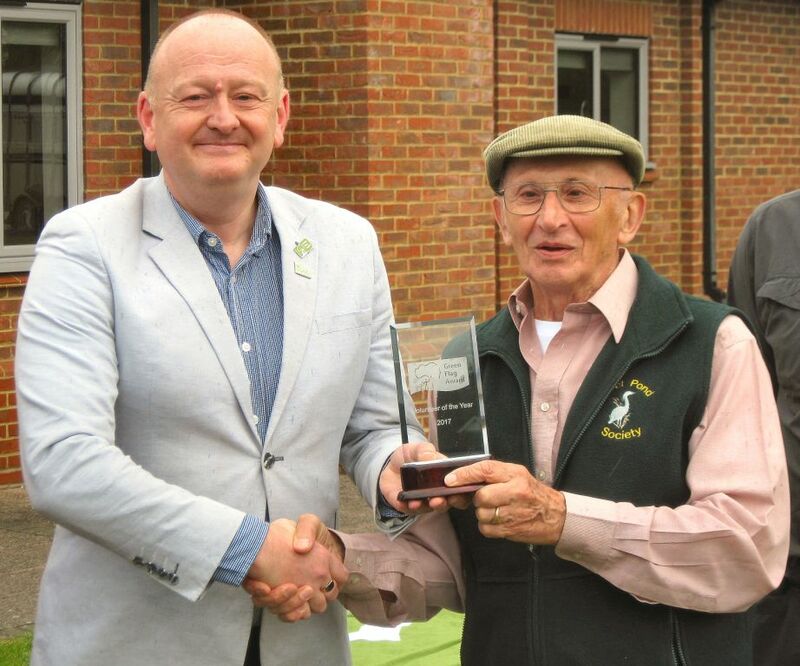 There was a big surprise for Colin Gray, Chairman of Fleet Pond Society (FPS), at the recent Elvetham Heath Countryside Day. 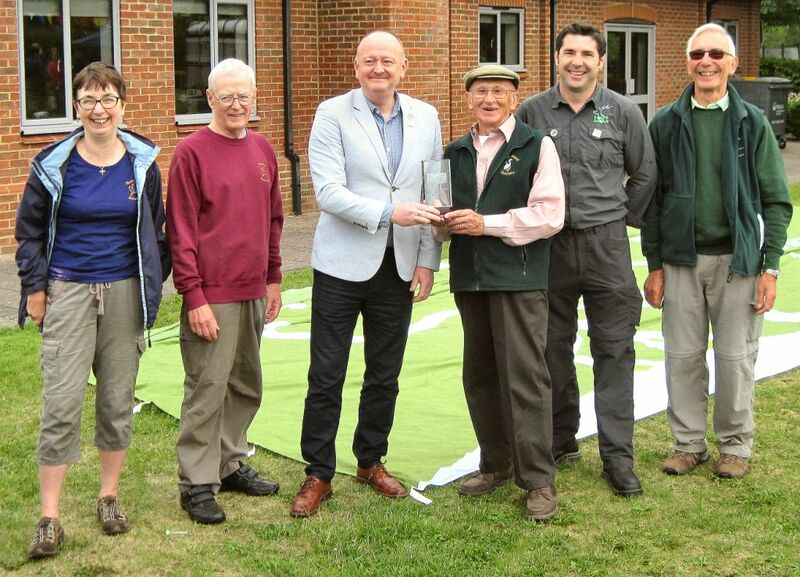 He was presented with the Green Flag Volunteer of the Year Award by Paul Todd, Scheme Manager of the Green Flag Award (see above). 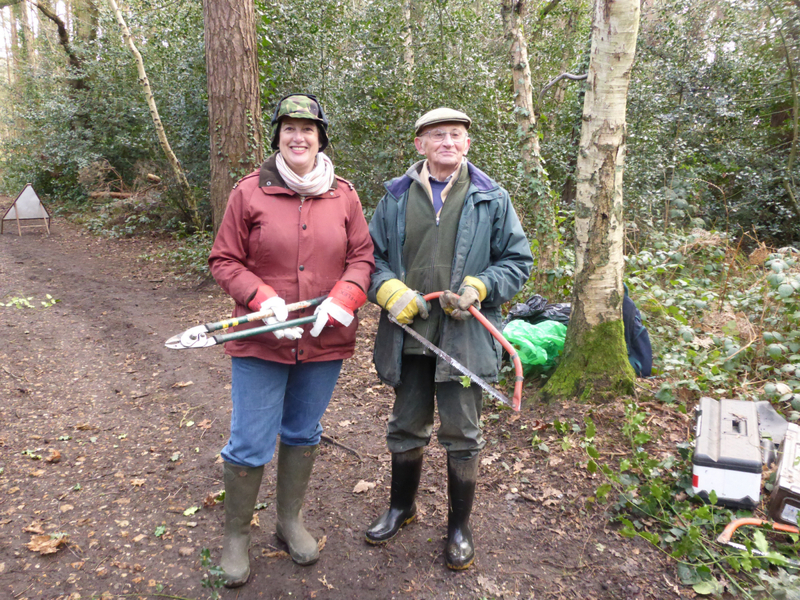 This award recognises the dedication shown by volunteers working alongside professionals in improving parks and green spaces across the UK. Apparently he won it by a mile! 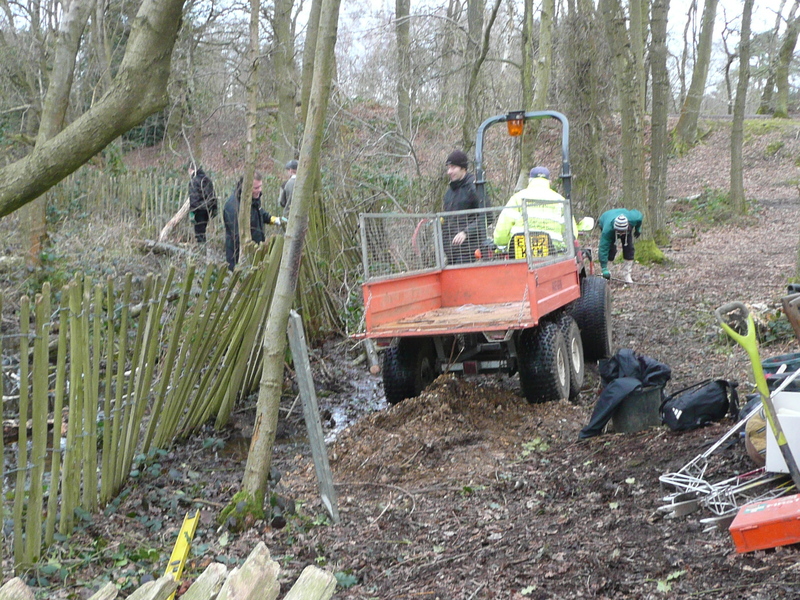 His leadership of the project to create the new Avondale Pond system in Brookly Wood (at Fleet Pond) was cited by Hart Countryside Services as being typical of the dedication Colin has shown. This is to balance out any unexpected overflows from the Thames Water pumping station. You can read about Green Flag Awards here. The results of the 2016 FPS Photographic Competition were announced at the FPS AGM held in February. The theme for 2016 (‘Seasons’) captured people’s imagination and there was an impressive number of entries. He projected all the photographs onto a big screen and narrowed the number down to 41. He then printed these and spread them out on a big table to make his final selection. You can read Kevin’s illuminating comment on each photograph here. 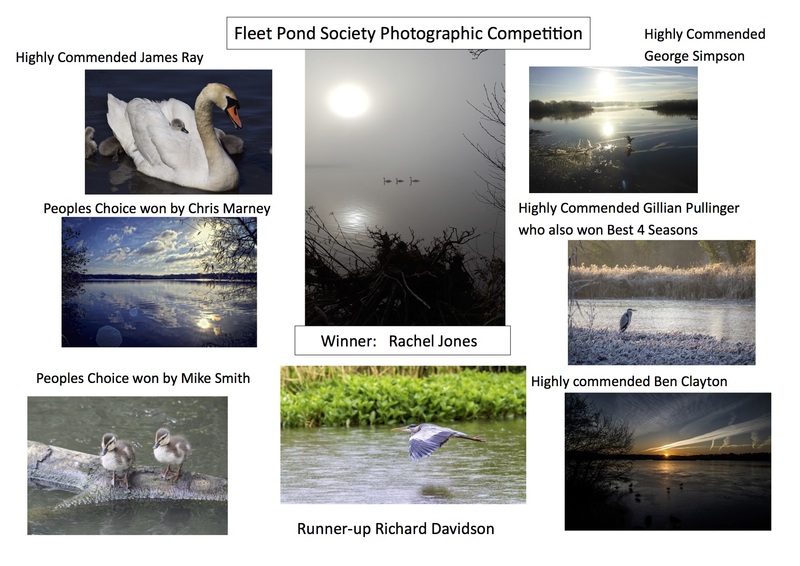 The winning photos from previous competitions can be viewed at the FPS web site (see under the Photography tab). Also, see the FPS Flickr Group for additional inspiration and interest!